Aah, now switching over to another land for fashion week this season! From the nooks of the fashionable land of romance, we are going behind the scenes and close up exclusives during PARIS FASHION WEEK this season for the spring shows! Here’s a sweet taste of what’s to come. A FashionDailyMag collaboration between Isabelle Grosse, who brings her romantic touch in portraits behind the scenes and Brigitte Segura, curating the note-worthy romantic details and forward fashion mood. Here’s a glimpse behind the scenes from yesterday’s show. KRISTINA FIDELSKAYA ss19 Paris Fashion Week. 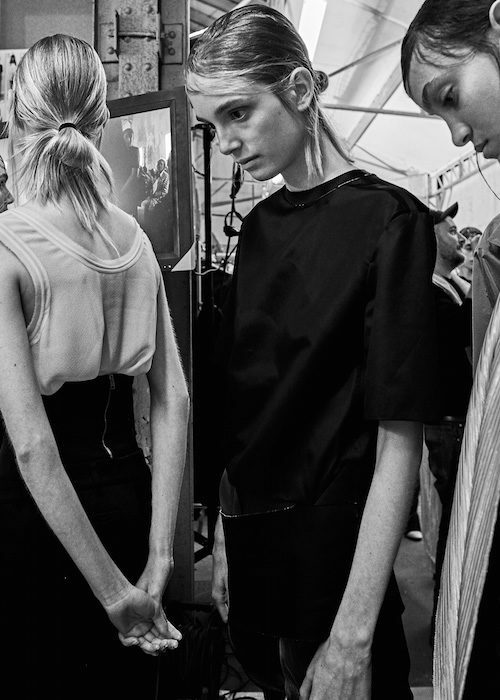 A PARIS ROMANCE: a glimpse behind the scenes spring 2019: KRISTINA FIDELSKAYA ss19 Paris Fashion Week. before the runway show.